Fuzzy set theory allows for the inclusion of vague human assessments in computing problems. Also, it provides an effective means for conflict resolution of multiple criteria and better assessment of options. Fuzzy rule interpolation offers a useful means for enhancing the robustness of fuzzy models by making inference possible in sparse rule-based systems. However, in real-world applications of inter-connected rule bases, situations may arise when certain crucial antecedents are absent from given observations. If such missing antecedents were involved in the subsequent interpolation process, the final conclusion would not be deducible using conventional means. To address this issue, an approach named backward fuzzy rule interpolation and extrapolation has been proposed recently, allowing the observations which directly relate to the conclusion to be inferred or interpolated from the known antecedents and conclusion. As such, it significantly extends the existing fuzzy rule interpolation techniques. However, the current idea has only been implemented via the use of the scale and move transformation-based fuzzy interpolation method, which utilise analogical reasoning mechanisms. 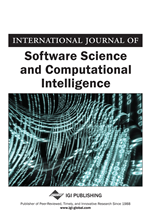 In order to strengthen the versatility and feasibility of backward fuzzy interpolative reasoning, in this paper, an alternative a-cut-based interpolation method is proposed. Two numerical examples and comparative studies are provided in order to demonstrate the efficacy of the proposed work. Today, fuzzy logic have become an increasingly popular methodology for the modelling of various kinds of common sense reasoning, especially in dealing with non-linear, uncertain and complex systems, such as information processing (Wang, 1998; Zeng & Keane, 2005), mechanical control (Buckley, 1993;Castro, 1995), expert systems (Forsyth, 1984; Schneider et al., 1996), image recognition (Perkins et al.,2003), diagnosis (Kuncheva & Steimann, 1999; Yao & Yao, 2001), intelligent decision support systems(Nokhbatolfoghahaayee et al., 2010; Nokhbatolfoghahaayee et al., 2010), and cognitive informatics and natural intelligence (Wang, 2011; Wang, 2012; Kinsner, 2007). Fuzzy Rule Interpolation (FRI) was originally proposed in (K´oczy & Hirota, 1993a; K´oczy & Hirota, 1993b). It is of particular significance for reasoning in the presence of insufficient knowledge or sparse rule bases. When a given observation has no overlap with antecedent values, no rule can be invoked in classical fuzzy inference, and therefore no consequence can be derived. A number of important interpolation approaches have been proposed in the literature, including (Baranyi et al., 2004; Chen & Chang, 2011; Chen & Ko, 2008; Dubois & Prade,1999; Hsiao et al., 1998; Huang & Shen, 2006; Huang & Shen, 2008; K´oczy et al., 2000; K´oczy &Hirota, 1997; Tikk & Baranyi, 2000; Yam & K´oczy, 2000; Yam et al., 2006; Yang & Shen, 2011; Yang& Shen, 2013). Reviewing the development of fuzzy interpolation techniques, most of which can be categorised into two classes: single step rule interpolation and intermediate rule-based interpolation. Approaches following single step rule interpolation directly interpolate rules whose antecedents match the given observation. The consequence of the interpolated rule is thus the logical outcome. Such techniques (K´oczy & Hirota, 1993a; K´oczy & Hirota, 1993b; Tikk et al., 2002; Wong et al., 2005)are typically based on the use ofα-cuts (α∈(0,1]), and hence, are also referred to as α-cut-based fuzzy interpolation. The α-cut of the interpolated consequent fuzzy set is calculated from the α-cuts of the observed antecedent fuzzy sets, and those of all the fuzzy sets involved in the rules used for interpolation. Having found the consequent α-cuts for all α∈(0,1], the consequent fuzzy set is then assembled by applying the Resolution Principle (Lee, 1972). Note that in practice only breakpoint levels are considered.